Co-authors of "Religion, Politics, and the Origins of Palestine Refugee Relief (Palgrave Macmillan, forthcoming). The religious group known as the Quakers has sacrificed its founding religious principles at the altar of anti-Zionism and anti-Semitism. In the summer of 2013 an unusual gathering of students took place in an undisclosed location in upstate New York. Sponsored by the American Friends Service Committee (AFSC) along with Jewish Voice for Peace, the “We Divest Campaign Student Leadership Team Summer Training Institute” offered a five-day program to trains campus activists and organizers in the “Boycott, Divestment and Sanctions” (BDS) movement, a loose coalition of anti-Israel groups seeking to cripple the Israeli economy. Promising “fun in a summer-camp like environment” for only a $100 registration fee—the rest is subsidized by the sponsors—AFSC’s program included “extensive campaign development coaching,” “grassroots organizing skill building,” “media and messaging trainings,” “anti-oppression analysis workshops,” “relationship building with activists on campuses nationwide,” “strategy sessions with BDS movement leaders,” and more. Participants represented some of America’s best-known elite universities, including the University of Pennsylvania, Brown, Brandeis, Loyola, Oberlin and Georgetown. The conclave did not go unnoticed among critics of BDS concerned at the prospect of teens and young adults being taught the tactics of harming the Jewish state. The Anti-Defamation League stated that such camps would “indoctrinate the next generation of activists with biased messages intended to single out Israel.” Shurat HaDin, an Israeli nonprofit that helps terror victims navigate the legal systems of countries around the world, announced that it was investigating whether the camp violated federal and New York state anti-boycott laws. Yet clearly their aims go beyond stopping settlement construction. In 2008, the AFSC, along with other similarly minded religious groups, hosted a gala dinner with Iranian President Mahmoud Ahmadinejad as the guest of honor, despite Ahmadinejad’s Holocaust denial, anti-Semitism, and genocidal threats against the Jewish state. Ahmadinejad, however, is only the most extreme example of the AFSC making dubious friends. The participants in its BDS summer camp were mostly Palestinians or Palestinian-Americans associated with the group Students for Justice in Palestine—an organization notorious not only for its vicious rhetoric against Israel, but for going so far as shouting down pro-Israel speakers on campus and harassing Jewish students. Unfortunately, even a cursory look at the AFSC’s attitudes toward Israel over the past 60 years reveals something very different. Its views on Israel have slowly evolved from a nominally neutral, though not particularly sympathetic, point of view to a violently hostile stance. The group now engages in apologetics for anti-Israel terrorism, accuses the Jewish state of all manner of crimes, and seeks to actively undermine its economy and security. The AFSC, in short, has adopted a pacifism of hypocrisy. It claims to oppose violence, but in practice engages in apologetics for terrorism. It claims to want peace for both sides, but inevitably advocates only for the Palestinians, often in extremist terms. And it has moved closer and closer to a retrograde, supercessionist theology that has been the basis of Christian anti-Semitism for centuries. The saga of the AFSC’s relationship to Israel is a tragic one, in which a once-noble organization has not only embraced an ignoble cause, but has betrayed its own founding principles in the process. The American Friends Service Committee has its origins in the Quakers—thus named because they tremble or “quake” before God—a Protestant sect founded in England during the mid-17th century. Embracing an extreme form of Protestant theology, the Quakers rejected all traditional sacraments, such as baptism and the notion of the Bible as inerrant Scripture. 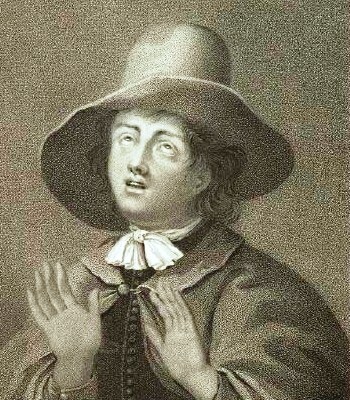 Instead, the Quakers seek to bear witness to their belief through “spirituality in action.” Its members attempt to follow the “inner light,” which founding Quaker George Fox described as “spirit, and grace, by which all might know their salvation, and their way to God; even that divine Spirit which would lead them into all Truth.” As part of their beliefs, Quakers oppose violence in all its forms and reject any compulsion in religion. Social justice and pacifism have long been central tenets of Quaker belief and activity. The American Friends Service Committee was formed on April 30, 1917 in response to America’s entrance into World War I. Challenged by public hostility and government disapproval due to their refusal to be drafted, the Quakers formed the AFSC in order to organize alternative forms of service for its members, such as providing medical aid and other non-violent participation in the war effort. The AFSC slowly expanded over the years, and by the late 1940s it was an established Christian organization with global experience, recognized by national and international establishments as a major provider of international relief, charity, and aid. It was also a profoundly universalist organization that often supported unpopular political causes, embracing humanitarian and pacifist ideals that were radical in the context of both the U.S. and in the American and Protestant contexts. The AFSC’s newly radical stance took aim at American policies throughout the 1950s and paid little or no heed to repression and terror in Communist countries. This hit its stride during the Vietnam War. The organization bitterly and actively opposed the war throughout the 1960s and ‘70s. Its attacks on American policy in Vietnam were furious and wide-ranging, opposing everything from the escalation of military operations to all forms of aid to South Vietnam to the conduct of the war itself. In addition, the AFSC directly violated American embargoes and sent medical aid directly to North Vietnam. These actions proved to be extremely controversial. In one case, the AFSC was accused of revealing to the North Vietnamese that a prominent Buddhist activist was a CIA agent, prompting one prominent Quaker to hold a sit-in at AFSC headquarters in protest. The AFSC’s activism placed it unquestionably on the side of the American far-Left, where it remains to this day. The Quakers’ beliefs in nonviolence have not prevented them from supporting bloody despotic regimes. More importantly, however, this was the beginning of a process through which the AFSC began to betray its own founding principles. While still voicing support for pacifism, the organization increasingly aligned itself with violent Left-wing governments and movements, some of which used terrorism to advance their goals. Over the past three decades, the AFSC’s ideology has remained essentially unchanged. It still makes occasional nods toward religion and theology, but essentially, its beliefs and activities are entirely secular and entirely conventional on the far-Left. It opposed U.S. intervention in Somalia and claims today that “economic hardship” rather than “ideology” drives the Somalian civil war pitting Islamist terrorists against the federal government. It partially justified Iraq’s 1990 invasion of Kuwait by citing the former’s war debts and opposed the American-led response. In one case, AFSC members even volunteered to act as human shields in the event of an American attack. The 2003 invasion of Iraq was cast in similar terms, as yet another American crime that followed years of murderous sanctions. Saddam Hussein is barely mentioned by the organization, and one simply would not know from their description of the war that he was a tyrant personally responsible for hundreds of thousands of deaths, or that his regime had pursued weapons of mass destruction. 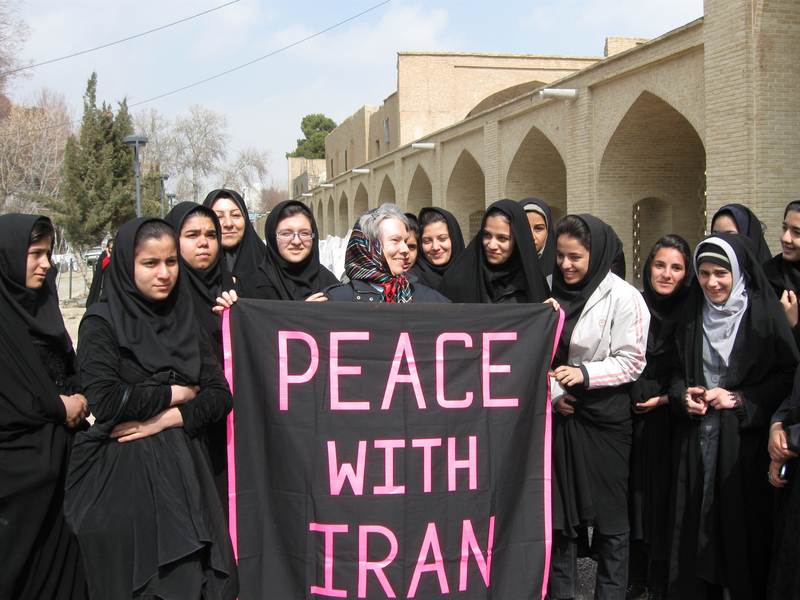 The AFSC’s policy towards Iran is similar, demanding the removal of sanctions and dismissing concerns about Iranian nuclear weapons. Today the group operates collective farms in North Korea and supports a network of Syrians who, in their words, “believe in nonviolence as a means of achieving freedom, equality, dignity, and mutual coexistence to be one community of citizens in all its sects and identities.” Saddest of all, the AFSC’s once-formidable relief and aid efforts are now strictly limited, replaced by an absolute faith in the power of rhetoric and protest to alter behavior. And it is these weapons that the AFSC has now turned against the Jewish state. The AFSC’s strange and often hypocritical combination of ideology and theology, pacifism and support for violent movements, has marked its attitude toward Israel for many years. But the organization was not always actively hostile toward Israel or Zionism, and its relationship to the Israeli-Arab conflict has been a long and complex one. The Quaker movement itself has a long historical relationship with the land of Israel. Quakers traveled to then-Palestine as early as the 1650s in order to undertake missionary and educational projects, and like many Protestant sects, they were especially active throughout the Middle East during the second half of the 19th century. Their activities were mainly confined to the Middle East’s Christian communities. As far as the Jews were concerned, the Quakers shared the supersessionist theology of most American Protestant denominations of the time. This theological position deemphasized the Jewish connection to the Holy Land and derided the Jews as a people forsaken by God. As a result of their pacifism, however, the Quakers were generally not hostile toward the Jews. But Zionism represented a direct challenge to supersessionist theology, and many of the Protestant missionary and aid groups opposed the movement and supported Arab nationalism. The Quakers, for the most part, stayed neutral on the subject, although Quaker institutions in Palestine itself and individual Palestinian Quakers became leading advocates of Arab nationalism and fervent anti-Zionists. By the time of Israel’s War of Independence in 1948, the AFSC was at the height of its international prominence. In December 1948, the group joined the International Committee of the Red Cross and the League of Red Cross Societies in order to provide relief to Palestinian refugees. The AFSC’s area of operation was the Gaza Strip, and during almost 18 months in the field it did an exemplary job. The organization provided food, set up schools and clinics, and faced down the Egyptian military. Unlike any other relief organization at the time or since, the AFSC conducted an accurate census and reduced its rolls of Palestinian refugees. It also rooted out fraud and corruption, and kept costs under control. And despite their pacifism, the AFSC learned to be what it described as “hard boiled” with the Egyptians, the refugees, and the international community in general. 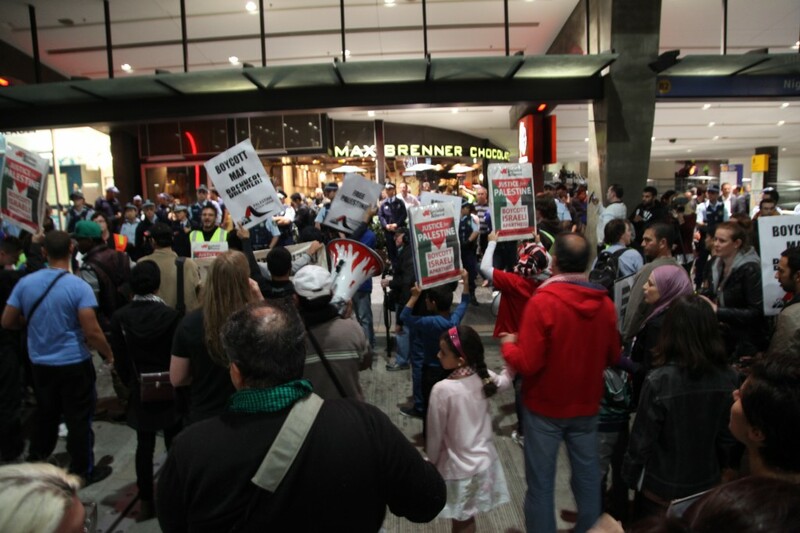 The AFSC has been at the forefront of the Palestinian solidarity movement since the beginning. But by the end of 1949, it was clear to the AFSC leadership that the refugees would accept no solution to their predicament but repatriation to their former homes in what was now Israel. Barring that, they demanded to remain on permanent international relief. Even vocational education was considered suspect. In the minds of the refugees, improved job skills could result in them being resettled elsewhere. At the same time, it was clear to the AFSC that even if the refugees did accept resettlement, no Arab state would accept them. The only possible solution would be political, not economic. And such a solution did not seem likely in the near future. To its credit, the AFSC could not countenance participating in an open-ended relief program, which it believed would intensify the “moral degeneration” of the refugees and the degradation of their skills, self-reliance, and self-respect. As a result, the AFSC withdrew from Gaza in early 1950, turning its responsibilities over to the United Nations organization UNRWA. For more than 60 years since, the AFSC’s warnings about the detrimental effects of open-ended relief programs have gone unheeded, whether by UNRWA or by any of its international patrons, including the United States. Today, Palestinians view relief and eventual repatriation (the “right of return”) as absolute rights. And the Arab states, with the exception of Jordan, remain steadfast in their refusal to do anything except warehouse Palestinians in permanent refugee camps. The refugee program was also, in effect, the last time the AFSC acted with formal neutrality in regard to the Israeli-Arab conflict. Its interests at the time were purely humanitarian, and it did not take an explicit or official political stance in favor of one side or another. This would soon undergo a radical and permanent change. Violence is expressed in the agony of millions of men, women and children who in varying degrees suffer hunger, poverty, ill-health, lack of education, non-acceptance by the fellowmen. It is compounded by the slights and insults of rampant injustice, of exploitation, of police brutality, of a thousand indignities from dawn to dusk and through the night. Cannot resettle Palestinian refugees in more or less permanent situations against their will should be obvious. Moreover, both the refugees and the host governments have been constantly haunted by the fear that successful resettlement would help the Israelis and the world to forget the injustice done to the Palestinians and to accept a large-scale fait accompli. Perhaps making up for lost time, the AFSC’s anti-Israel activities began to intensify. In 1973, the AFSC called for a U.S. embargo on arms and other aid to Israel, and in 1975 adopted “a formal decision to make the Middle East its major issue.” It quickly opened an office in Israel, installed specialized staff members at regional offices in the U.S., and began advocating for the Palestinians in Israeli and international courts. Israeli officials quickly discovered, however, that the new AFSC representative in Jerusalem was attempting to organize on behalf of the PLO. Only the threat of a negative PR campaign from the AFSC leadership prevented the representative—who was not a Quaker—from being expelled. A spokesman for the Arab-American university graduates not only blamed Israel for the Palestinian diaspora but said that by arming the Christians, Israel created a Palestinian Auschwitz at Tal Zaatar. The applause was loud and sustained. The AFSC moderator asked that the usual question-answer period be suspended. He called for one minute of silence so that the audience might “feel” the horrors that were so vividly described. Jewish participants were asked to tolerate some anti-Semitic remarks in order to keep the lines of communication open. It was argued that Palestinians cannot be expected to be understanding or asked to cool their anger until justice was achieved. Instead we must concentrate on erasing stereotypes including the one that associates the PLO with terrorism. Visited Yad Vashem and Ramallah Friends Meeting in the same day. Some cried in Yad Vashem while others questioned the psychological validity of preserving this bitter memory. Later we attended the Friends Meeting in occupied Ramallah, joined hands and sang one of the few permitted protest songs—We Shall Overcome. All of us were shaken, some to open weeping, by the experience. Such sentiments stem from a religious foundation of Christian anti-Semitism: The idea that the Jews are no longer the “real” Jews, but have been superseded by Christianity, which is “the Israel of the spirit.” This theology has only become more prominent among Quakers in recent years. And as it has become more and more extreme, the AFSC has moved further from its original ideas, which it now deploys almost wholly as quasi-religious platitudes. It speaks of the Quaker “spirit of love,” its even-handedness, and its commitment to non-violence. Yet it almost never criticizes the Palestinian Authority or Hamas for their violations of these principles, whether through terrorism, incitement, or an outright refusal to accept a peace agreement with Israel. It has called, for example, for an end to divisions between Hamas and Fatah in order to carry out a united struggle against Israel, even though Hamas is an openly anti-Semitic organization that has yet to recognize Israel’s right to exist in any form. In regard to Hamas’ indiscriminate use of rockets against Israeli civilians, the AFSC simply notes that “it is important to look at the firing of rockets by Palestinian armed groups in context,” since this it is “intertwined” with “ongoing Israeli military actions in Gaza.” Whether or not this is in comportment with the Quaker spirit of love is left unmentioned. Indeed, it often seems that the AFSC makes every possible effort to deflect attention from Palestinian violence and other abuses, claiming that “acts of physical violence gain attention, but the daily nonviolent resistance by Palestinians against the structural violence of the occupation goes unnoticed”; nor does any of the AFSC’s literature on U.S. aid to Israel and the Palestinian Authority mention the billions of dollars in aid stolen by Palestinian leaders. The group also discounts any possibility that the Palestinians could have any responsibility for the failure to reach a peace agreement. In a 2012 letter to Congress, the Quaker’s lobbying group, the Friends Committee for National Legislation, claimed that “there have been no meaningful negotiations since at least 2001,” which it blamed on “the U.S.’s failure to hold Israel accountable for its continued expropriation of Palestinian land and natural resources.” That the Palestinians had, in fact, been offered peace in 2000 and turned it down, and then launched a terrorist war, was left completely unmentioned. Nor is this hostility confined to the issue of the Palestinians. A lobbyist from the same group wrote in March 2013 that a congressional pledge to back Israel if it found it necessary to attack the Iranian nuclear program was a “Back Door to War with Iran Resolution,” and claimed “thousands of activists from the American Israel Public Affairs Committee (AIPAC) lobbied every senator’s office in support” of the resolution, which “lays the groundwork for—a U.S./Israel attack on Iran.” In fact, it did nothing of the kind, merely promising American support for Israel in case of an Israeli military strike against Iran. Unsurprisingly, the AFSC is among the most fervent supporters of the international community’s recent accord with Iran, which Israel has strongly opposed. The AFSC appears to regard its support for the BDS movement as equally righteous. Its advocacy of BDS is “contextualized by Quakers and AFSC’s long support for boycotts, divestment, and sanctions as economic tactics that appeal to human conscience and change behavior.” The group relates this to its opposition to slavery, segregation, apartheid, and other reprehensible phenomena. But it also betrays itself by claiming to support, in accordance with its “principles and history,” all “nonviolent efforts to realize peace and justice in Israel and Palestine,” even though this is demonstrably not the case, and has not been for years, given the organization’s support for Palestinian groups that both advocate and practice extreme forms of violence. To the extent that it still retains some religious character, the AFSC is fully aligned with the most radically pro-Palestinian Christian denominations. The Quakers are members of the World Council of Churches, which played a major role in issuing “A Moment of Truth,” otherwise known as the Kairos Palestine document. This theological statement on the Israeli-Palestinian conflict expresses a form of “liberation theology” that casts the Palestinians as the “new Jews.” Palestinians are, in effect a sacred, chosen people and a moral force struggling against oppression. In this case, the oppressor is the Jews, whose covenant is considered obsolete and whose religion is believed to be outdated if not barbaric. This messianic anti-Zionism may be one of the reasons the AFSC has adopted a view on the conflict that, despite protestations otherwise, effectively negates Israel’s right to exist. Indeed, the AFSC’s own manifesto on the conflict, Principles for a Just and Lasting Peace in the Middle East, is described by the organization as supporting the “implementation of refugees’ right of return.” This would result not in justice, peace, or dignity, but rather the end of the Jewish state. Such beliefs and activities are a tragic betrayal of the AFSC’s own history and religious origins. It may be that a movement like the Quakers, which has seen its numbers dwindle along with other liberal Protestant denominations, sees anti-Zionism as a last resort; a movement with powerful emotional appeal on which it can draw in order to maximize its power. If so, then it has undone a great deal of the good it once did, and substituted hypocrisy and bad faith instead. Once a byword for humanitarianism and faith, it has now become, in effect, a brand—one on which the AFSC can trade as it exploits the putative neutrality and pacifism it stands for in order to advance hostility toward Israel and, with its promotion of the “right of return,” an end to Israel itself. In the end, the AFSC’s story reflects the tensions between pacifism and politics, between aid work and political activism, and between neutrality in the Middle East conflict and religious anti-Zionism. It demonstrates that small religious movements are susceptible to hijacking by radicals, and suggests that pacifism may inevitably engender its opposite. The organizations slide has been a long one, and at the moment it shows no sign of or interest in reversing it. Today, only the “inner light” of individual Quakers will bring about change.